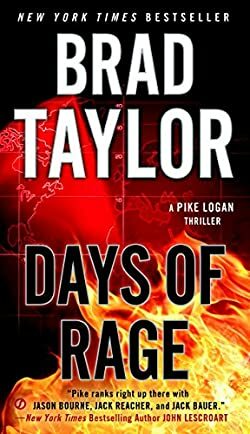 In former delta force operator and New York Times bestseller Brad Taylor’s latest Pike Logan thriller, the Taskforce must stop their most devastating threat yet—a weapon of mass destruction. Intent on embroiling the US in a quagmire that will sap its economy and drain its legitimacy, Russia passes a potential weapon of mass destruction to Boko Haram, an extreme Islamic sect in Nigeria. A relic of the Cold War, the Russian FSB believes the weapon has deteriorated and is no longer effective, but they are wrong. Boko Haram has the means for mass destruction, which will be set loose upon a multitude of unsuspecting innocents on one of the world’s grandest stages.